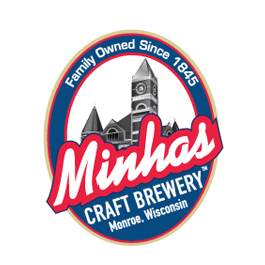 The heritage and tradition of hand-crafting the worlds finest beers dates back to 1845 at the Minhas Craft Brewery. This pilsner is named in recognition of our 165 year history. The “all-malt” pilsner remains true to its name using only 100% 2 row brewers pale malts following the old world European traditions of brewing. A perfect balance of flavors is achieved by procuring the exact blend of malt and hops and fermenting the brew with our proprietary yeast. A truly classic old-world pilsner beer. A truly classic old-world pilsner beer; the 1845 Pils starts with a light malt aroma followed by a floral hop scent. The crisp, clean and well-rounded taste leaves just a subtle touch of bitterness that rolls lightly on the sides of the tongue and is refreshed and cleansed with each sip. 1845 “All Malt” Pils will pair especially well with spicy meat soups and stews, sautéed vegatables and spicy asian foods. Gouda cheese would be a good choice to serve with this beer. 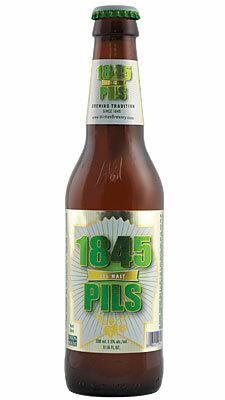 1845 Pils is available in many US states as well as AB, SK and MB, Canada.